The UFC began its Hall of Fame inductions in 2003 after its first 10 years as a promotion. In 2015, the UFC revamped its format to better differentiate fighters and appropriate historical content. Four categories were formed: the Modern Era (fighters who debuted on or after Nov. 17, 2000), the Pioneer Era (before Nov. 17, 2000), fights of great historical significance and those who contributed significantly to the UFC without competing in the octagon. For a person to be enshrined, their accomplishments in the UFC are taken into major consideration but their overall record in mixed martial arts in general also is noted. Nov. 17, 2000, is used as the cutoff date between Modern and Pioneer eras because UFC 28 in Atlantic City, New Jersey, that night was the first event to implement the newly formed unified rules of MMA. Career highlights: After years of being the guy who could never get past that No. 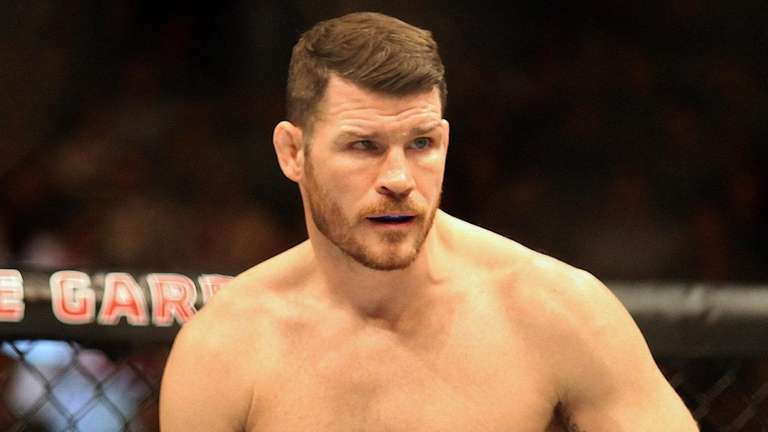 1 contender bout, Bisping finally broke through at UFC 199 in the summer of 2016 when he knocked out Luke Rockhold in the first round to become the UFC middleweight champion. He was the first British fighter to win a UFC title. Bisping also won Season 3 of "The Ultimate Fighter" and has the most wins at middleweight in UFC history with 16. His 20 wins were tied for second in UFC history at the time of his retirement. Career highlights: Faber first became a star in the WEC, winning the featherweight title in 2006. He made five successful title defenses and headlined the WEC's only pay-per-view event before it was folded into the UFC by parent company Zuffa LLC. "The California Kid" won 19 of his fights by submission and set records for wins (10) and finishes (6) in the UFC bantamweight division. 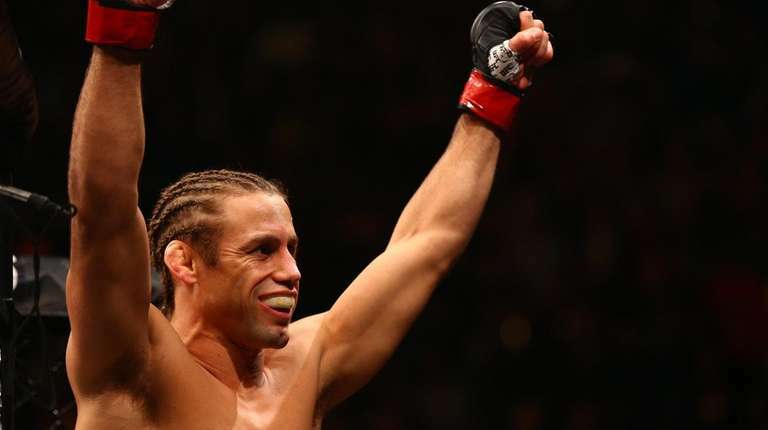 Faber started Team Alpha Male in 2004, a Sacramento-based gym that has produced top-tier fighters, including UFC bantamweight champion Cody Garbrandt, former champ TJ Dillashaw, Joe Benavidez, Paige VanZant and Chad Mendes. Career highlights: Griffin won the light heavyweight title by beating Quinton "Rampage" Jackson in 2008, but he's remembered more for what he did three years earlier. Griffin won Season 1 of "The Ultimate Fighter" in 2005 with one of the most important fights ever against Stephan Bonnar, a slugfest of a finale that helped skyrocket the UFC into mainstream conversation. Griffin also had wins over former UFC champions Mauricio "Shogun" Rua, Tito Ortiz and Rick Franklin. Career highlights: Penn was the second of just three fighters to win UFC titles in two different weight classes. He even competed in middleweight and heavyweight fights, but it was his work at the 155-pound lightweight division that Penn will be remembered for most. Dana White often credits Penn with helping build the division into one of the best and most interesting in the UFC. Penn was nicknamed "The Prodigy" for earning his black belt in Brazilian Jiu-Jitsu in less than three years. Penn retired in 2014, then returned to fighting in 2017. 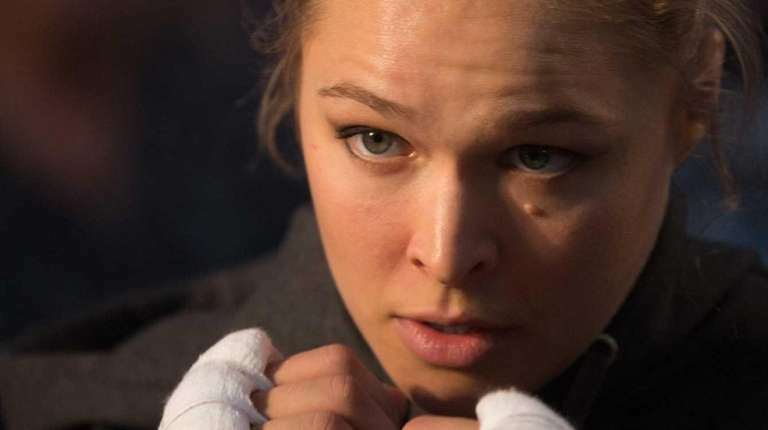 Career highlights: Ronda Rousey was the first female fighter signed to the UFC in 2012. In 2013, she headlined a pay-per-view event and beat Liz Carmouche in the first women's MMA bout in UFC history. Rousey had been installed as the featherweight champion before that bout. That kicked six straight title defenses and one of the most remarkable runs of dominance in the sport. At one point, she had three straight wins in a combined 64 seconds. Career highlights: Coleman became the UFC's first heavyweight champion by beating Dan Severn at UFC 12 on Feb. 7, 1997. Prior to that, Coleman had won the heavyweight tournaments at both UFC 10 and UFC 11. Often referred to as "The Godfather of Ground and Pound" for MMA, Coleman also won the Pride Grand Prix in 2000. In his 14-year MMA career, Coleman faced all the early legends of the sport, including Don Frye, Antonio Rodrigo Nogueira, Pedro Rizzo, Fedor Emelianenko, Mirko "Cro Cop" Filipovic, Mauricio "Shogun" Rua and Randy Couture. Career highlights: A three-time heavyweight champion and two-time light heavyweight champion, "The Natural" was the first fighter to win titles in multiple UFC weight classes. (Only two others have done it since.) Couture fought every big name in his division as the sport was growing in popularity, holding wins over Tito Ortiz, Vitor Belfort, Chuck Liddell, Pedro Rizzo, Tim Sylvia and Kevin Randleman. Couture also won the heavyweight tournament at UFC 13 in 1997. Career highlights: Franklin beat Evan Tanner at UFC 53 in 2005 to win the middleweight championship, a title he successfully defended twice before losing it to Andersil Silva in 2006. Franklin also headlined the UFC's first live network show when he faced Ken Shamrock at The Ultimate Fighter 1 finale. Career highlights: Frye spent less than a year in the UFC, but he made an impact. He debuted at UFC 8 and won the tournament, starting it off with an eight-second knockout of Thomas Ramirez. In his 11 fights in 11 months, Frye became the first in UFC history to finish three opponents in less than a minute and the first to win five in a row by knockout. He also had wins over Ken Shamrock and Yoshihiro Takayama in Pride FC. Career highlights: Of course the man who won the first UFC event would be a charter member of its Hall of Fame. Gracie changed the landscape of Brazilian Jiu-Jitsu and the UFC when he, at 170 pounds, defeated men of all sizes and disciplines to win the first, second and fourth UFC tournaments. (He withdrew from the semifinals at UFC 3 because of dehydration.) Gracie began a rivalry with Ken Shamrock at UFC 1 in 1993 and later fought him to a draw in a 36-minute fight at UFC 5 four years later. Many MMA fighters point to Gracie as the reason they first were drawn to jiu-jitsu and the UFC in general. Career highlights: A two-time UFC welterweight champion, Hughes defended his title seven consecutive times. At the time of his last fight in 2011, Hughes held the record for most UFC wins with 18. He fought the legends of his division, a welterweight class that he largely is responsible for building: Georges St-Pierre, Frank Trigg, Matt Serra, Royce Gracie, Renzo Gracie and B.J. Penn, to name a few. Career highlights: "The Iceman" became the first breakout star of the Zuffa-owned UFC, bringing MMA from fringe sport to mainstream phenomenon. He knocked out a lot of people along the way, becoming the UFC light heavyweight champion in the process. Liddell defended his title four times and had a string of seven straight wins by knockout. His fights with Randy Couture and Tito Ortiz were among the UFC's top pay-per-view draws in the 2000s. Career highlights: Miletich won the UFC 16 tournament in March 1998, then came back seven months later to become the UFC's first lightweight champion (it later was converted to the welterweight championship as the sport evolved and developed new weight classes). Miletich made four successful title defenses and became one of the leading trainers in MMA in the 2000s, leading Matt Hughes, Jens Pulver and Tim Sylvia to titles. Career highlights: "Minotauro" rose to prominence in Pride FC in Japan, becoming the heavyweight champion in 2001. He later won the UFC interim title in 2008. Along the way, "Big Nog" fought nearly every big name in his division: Dan Henderson, Mark Coleman, Bob Sapp, Fedor Emelianenko, Mirko "Cro Cop" Filipovic, Randy Couture, Fabricio Werdum, Josh Barnett, Tim Sylvia, Ricco Rodriguez, Cain Velasquez and Frank Mir. Of that group, only Mir, Velasquez and Emelianenko can say they never lost to Nogueira. Career highlights: "The Huntington Beach Bad Boy" held the UFC record for most consecutive light heavyweight title defenses with five, a mark that stood for more than 10 years until Jon Jones surpassed it. Ortiz debuted at UFC 13 in 1997, back when the sport was banned from cable TV. He was a brash and outspoken personality, but he defended his sport even better than he did his title. Ortiz's battles with Chuck Liddell drew large buzz and pay-per-view audiences, helping the UFC cross over into more of the mainstream in American sports. Ortiz fought every big name in the division in his 20 years. He capped his career with a 3-1 record in Bellator, ending with a submission win over Chael Sonnen. Career highlights: Rutten spent all but three of his fights with Pancrase in Japan, but he did beat Kevin Randleman to win the UFC heavyweight title in 1999 at UFC 20. He later vacated the title. Career highlights: Sakuraba is the first inductee to this Hall of Fame never to compete in the UFC, but he made a career of stopping some of the UFC's early stars. He was the first man to beat UFC 1 champion Royce Gracie in an MMA match, which lasted 90 minutes. Known throughout the MMA world as "The Gracie Killer," Sakuraba defeated Royler, Royce, Renzo and Ryan Gracie in a 13-month span under the Pride banner in 1999-2000. He also defeated early MMA stars Vitor Belfort, Quinton Jackson, Guy Mezger, Kevin Randleman and Ken Shamrock in Pride. In total, he beat seven UFC champions, three Pancrase Champions and a DREAM champion. 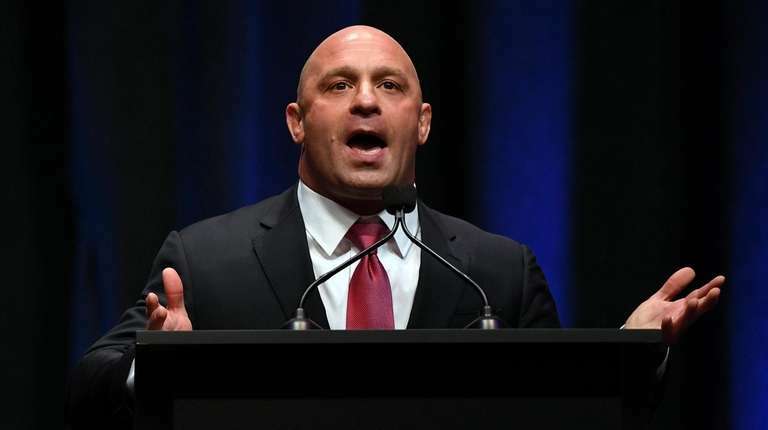 Career highlights: Matt Serra pulled off the greatest upset in UFC history when he knocked out Georges St-Pierre to win the welterweight title at UFC 69 in Houston in 2007. Serra won Season 4 of "The Ultimate Fighter" to earn the title shot. He also was the first American to receive a black belt in Brazilian Jiu-Jitsu under Renzo Gracie. Career highlights: Severn won the UFC 5 and Ultimate Ultimate tournament titles, both in 1995, then beat Ken Shamrock for the UFC superfight title at UFC 9 in 1996. He lost a UFC heavyweight title fight against Mark Coleman in 1997, but he continued to fight regularly until age 53 in 2012. Of his 101 career wins, 60 came by submission for the two-time All-American wrestler known as "The Beast." Career highlights: Shamrock was the other half of the rivalry with Royce Gracie. Shamrock became the first superfight champion at UFC 6 in 1995 by submitting Dan Severn with a guillotine choke. He then fought Oleg Taktarov to a draw in a 33-minute bout at UFC 7, followed by a submission win over Kimo Leopoldo to keep the superfight title at UFC 8. Shamrock went into pro wrestling shortly thereafter but returned to challenge Tito Ortiz at UFC 40 in 2002. Shamrock went 0-3 against Ortiz in one of the UFC's most bitter rivalries. Shamrock began his career in Pancrase, where he twice won the King of Pancrase title. Career highlights: Smith was the second heavyweight division in the UFC when he upset Mark Coleman at UFC 14 in 1997. He was the first to successfully defend the title against Tank Abbott at UFC 17 three months later. Smith entered the UFC at age 35 after a successful and title-winning career in kickboxing and Muay Thai. It is not a stretch to call their epic, five-round light heavyweight bout at UFC 139 one of the five greatest fights of all time. Knockdowns and takedowns, takedowns and knockdowns. Henderson outlanded Rua, 106-66, in the first three rounds. Each of the three judges gave the first three rounds to Henderson. Rua held an 84-19 edge in the last two rounds, and won them on all judges' cards. Rua outlanded Henderson in total power strikes, 90-58 and had five takedowns of the former two-time Olympic wrestler. Williams made his UFC debut in this fight, replacing heavyweight champion Randy Couture (injury) on two weeks' notice. Coleman, "the godfather of ground and pound," dominated Williams with takedowns during the 12 minutes of regulation. But, 38 seconds into overtime, it Williams connected with a head kick that dropped Coleman. It was the UFC's first knockout by head kick. Trigg dropped Hughes, hit him a series of strikes and nearly submitted him with a rear naked choke. Somehow, Hughes escaped, picked up Trigg, carried him across the octagon and slammed him to the canvas. Hughes landed ground strikes, then submitted Trigg via rear naked choke to remain welterweight champion. That all took place in four minutes and five seconds. The Season 1 finale of "The Ultimate Fighter," Griffin vs. Bonnar is credited as being the springboard for the UFC's rise in popularity.. The two light heavyweight fighters exchanged strikes for 15 minutes, neither man refusing to give up. As the slugfest continued on Spike TV, the ratings for the fight increased each round. Griffin won by unanimous decision, but Bonnar also was awarded a UFC contract for his effort that night. Blatnick began his involvement with UFC in 1994 as a commentator for UFC 4. He helped give the sport of mixed martial arts its name, at a time when it was referred to more as no holds barred fighting. The Olympic gold medalist in wrestling also helped write the unified rules of mixed martial arts that debuted late in 2000. 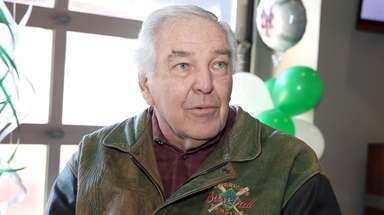 Blatnick died in 2012 of complications from heart surgery. From 1998 to 2018, Bruce Connal led the production of more than 300 televised events for the UFC. "Bruce was an amazing friend, husband, father and member of the Zuffa family whose presence will be greatly missed," UFC Executive Vice President of Operations and Production Craig Borsari said. "Bruce's influence on our live event production over the past two decades has played a vital role in shaping how millions of fans watch UFC events." Art Davie is one of the original creators and co-founders of the UFC. The Brooklyn native first had the idea of producing a tournament called "World's Best Fighter" in 1989, and he later teamed with Rorian Gracie to make what first was called "War of the Worlds" before becoming "Ultimate Fighting Championship" in 1993. "Being inducted into the UFC Hall of Fame is the greatest honor that can be bestowed to anyone involved with the sport of mixed martial arts," Davie said in a news release. "Watching UFC become mainstream and break all these records over the years has been like watching my child go out and conquer the world. I'm so proud of what UFC has become and I'm thrilled my part in its creation is being celebrated during its 25th anniversary." Lewis co-founded the apparel company TapouT, a brand synonymous with MMA for more than a decade. He was a big supporter of the sport, with TapouT sponsoring dozens of fighters and UFC events. Known for his "Mask" persona with war paint and outlandish outfits, Lewis died in a car accident in March 2009 at age 45. He was the first non-fighter inducted into the Hall of Fame. The UFC's octagon bears his name. 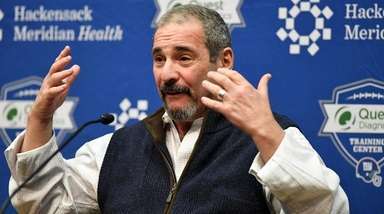 Meyrowitz was one of the co-founders of the UFC in 1993, along with Art Davie, Rorion Gracie and Campbell McLaren. As founder of Semaphore Entertainment Group (SEG), he helped develop the UFC and its pay-per-view model. Back then, it was more about "Can a karate guy beat a Taekwondo guy?" 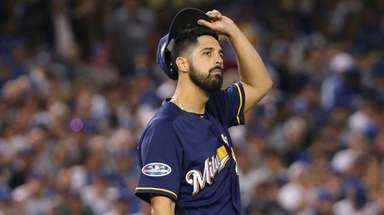 than it was about all-around fighting, and it was banned from cable television and faced intense scrutiny in the media. He developed stars that spanned both eras and brought the UFC into Japan and Brazil before selling the promotion to Lorenzo and Frank Fertitta and Dana White in 2001. Silva began with a phone call and unsolicited advice on how to make the UFC better. That was in 1994. By 1995, he was brought in as a full-time UFC employee by original owners Semaphore Entertainment Group. He became the head of talent relations in 2001 when Zuffa purchased the UFC and remained the UFC's matchmaker through 2016. 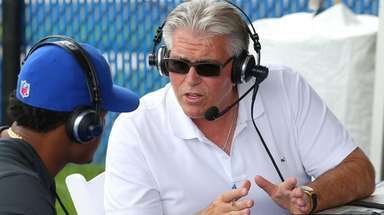 In that time, he also helped developed the rulebook for mixed martial arts, the UFC's "Ultimate Fighter" show.